The traumatic loss of an unborn child after TOP due to fetal malformation and/or severe chromosomal disorders in late pregnancy is a major life-event and a potential source of serious psychological problems for those women. To obtain information on the course of grief following a traumatic loss, 62 women who had undergone TOP between the 15th and 32nd gestational week were investigated in a longitudinal study design and compared with 65 women after spontaneous delivery of a full-term healthy child. 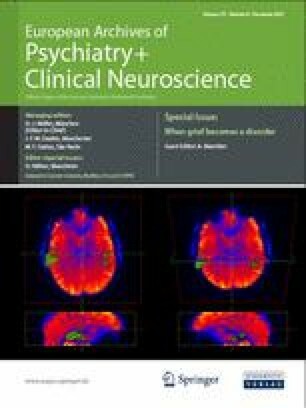 Grief, posttraumatic stress, depression, anxiety and psychiatric disorders were evaluated 14 days, 6 months and 14 months after the event, implementing validated self-report and clinician rated instruments. Compared to women after spontaneous delivery, women after induced TOP were significantly more stressed regarding all psychological outcomes at all three measuring points. Especially, 14 months after TOP 13.7% of the women fulfilled all criteria of a complicated grief diagnoses following Horowitz et al. (1997, Am J Psychiat 154:7904–7910). 16.7% were diagnosed as having a manifest psychiatric disorder according to DSM-IV. All in all, 25% of these women were critically affected by the traumatic loss. TOP for fetal anomaly is to be seen as a major life event, which causes complicated grief reactions and psychiatric disorders for a substantial number of women.